Morphsuits, the all-in-one spandex bodysuit as worn by Harry Styles, has enlisted a group of ‘masked vigilantes’ to guard popular A-lister hotspots and hand out free Morphsuits to any celebrity with the desire to remain anonymous when leaving a bar or club. The service is now available for hire by celebrities via Twitter, they just need to tweet @Morphsuits with #ProtectMeMorphsuits, and the team will arrange the time and place via direct message so not to reveal the star’s destination. Last year saw Morphsuits provide One Direction and Tom Daly with suits to keep them incognito, and the team has also been attending festivals around the UK to allow the likes of Florence Welch and Kate Moss party in peace. 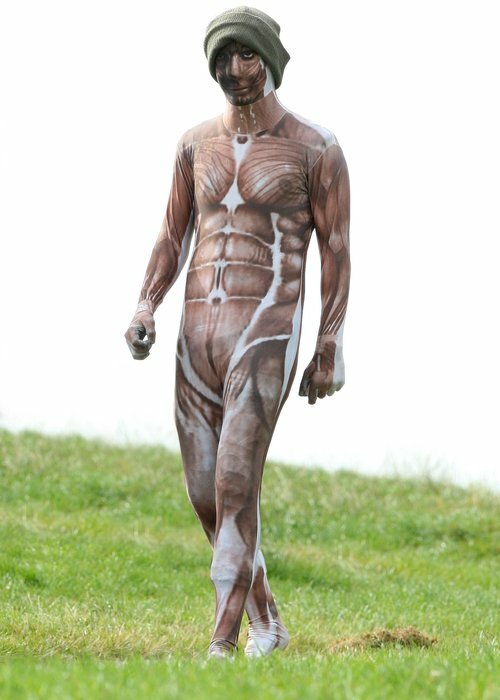 Harry Styles even stepped out for a day in a London park with Nick Grimshaw wearing a skintight muscle morphsuit. This isn’t the first time the company has partaken in unsung do-gooding, last August saw an anonymous team clean up the streets of Clapham for the anniversary of the London riots, as well as hundreds of people dressed in the Power Ranger suits take on a zombie invasion of London. TCPA now has hundreds of groups working internationally, including London and New York.